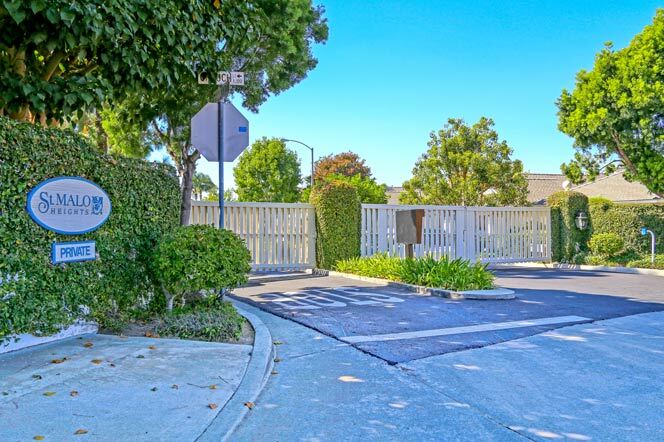 St. Malo Heights is a small gated community in the Fire Mountain area of Oceanside. Filled with old world charm and large French Normandy style homes that overlook the Pacific Ocean. Only 34 homes exist in this community with one circular street with homes located on the hill side edge that have forever ocean and sunset views. Situated in the Fire Mountain area which is well known for having sensational views and close proximity to local shopping and restaurants. This is one of three St. Malo communities that are located in Oceanside. All are gated and featured French Normandy style homes. The two other communities are located on the ocean side of the 5 freeway and better known as St. Malo Village and St. Malo Beach. Real Estate prices for St. Malo Heights and St. Malo Village will normally be in the mid $500,000 range while St. Malo Beach homes normally start at two million dollars. This neighborhood is ideal for those looking a charming neighborhood with coastal views. For more information on the St. Malo Heights community please call or email us.